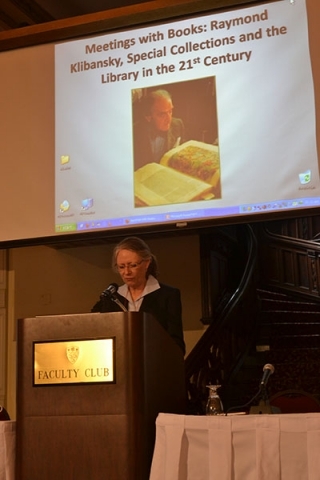 Video recordings from the one-day symposium, Meetings with Books: Raymond Klibansky, Special Collections and the Library in the 21st Century, that was held at McGill on March 20, 2013, are now available. Webcast recordings of the opening remarks, both keynotes and the panel discussions have been posted for viewing online or downloading. Read about McGill’s Raymond Klibansky Collection. A collection of 81 plates of cut-outs by the Italian artist Ugo Mochi (1889-1977) was recently brought to light from one of the library’s storage areas. The collection is composed of silhouettes of animals, each one cut from a single piece of black paper. Ugo Mochi studied art in Florence from the age of 10 before leaving to Berlin at 21 to attend the Art Academy. For a time sculptor, painter and musician all rolled into one, Mochi decided to focus on paper-cutting before coming to the United State in 1928. 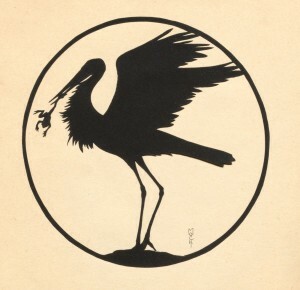 He then became a book illustrator, using his silhouettes. He was passionate about wild animals and spent much time at the zoo, studying animal behaviour and movements. His tendency to create in series is very clear throughout the collection: dozens of giraffes, twelve elephants, numerous birds of every kind, and all sorts of goats, cattle and antelopes are represented. The art of Ugo Mochi was exhibited at McGill Library in 1930, but he spent most of his career in New York. His work was greatly appreciated by the American Museum of Natural History, which still possesses some of Mochi’s most famous pieces. 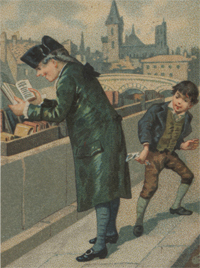 The plates are now available for consultation in Rare Books and Special Collections. 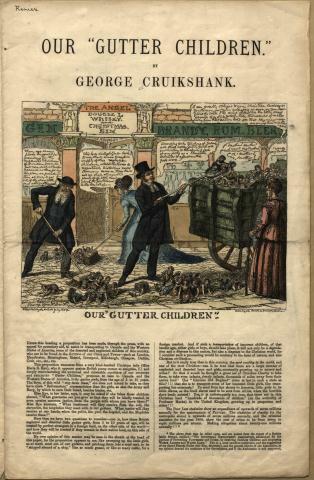 Rare Books and Special Collections has recently acquired a copy of George Cruikshank’s Our ‘gutter children‘, a large, four-page pamphlet with a colour illustration at the head. This document, which complements RBSC holdings of Cruikshank’s illustrated book works and extensive caricature collection, appears to be the only recorded copy in a Canadian library. George Cruikshank (English, 1792-1878) was a print maker and caricaturist who achieved fame first through political and social caricature in the popular press and later as a successful illustrator of books. His output was extensive, and he created plates for Dickens’ Oliver Twist, Defoe’s Robinson Crusoe, and the Brothers Grimm, to name a few. 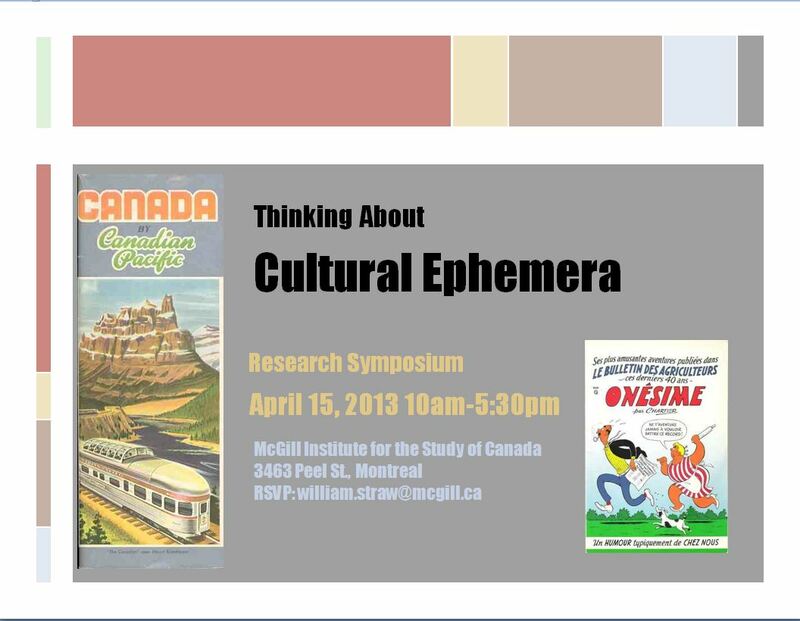 Our ‘gutter children‘ will be of particular interest to researchers looking at Home Children, the movement of child emigrants from Great Britain to Canada between 1869 and the 1930s. This item is available for consultation in Rare Books and Special Collections.